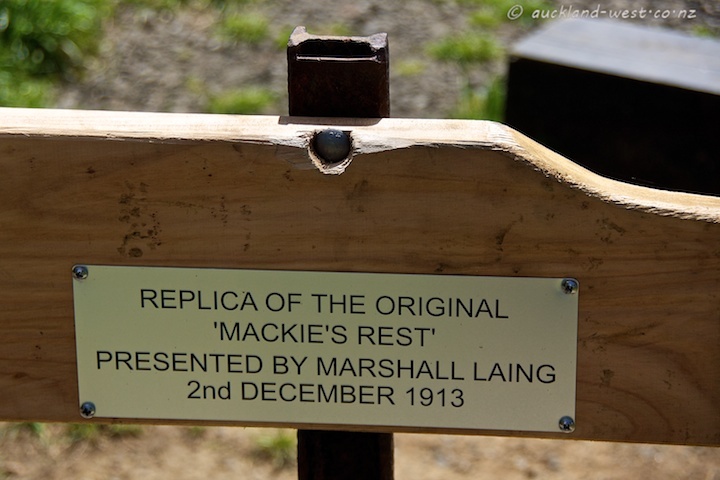 At the end (if you come from Scenic Drive) of the level part of Exhibition Drive is “Mackies Rest”. Legend has it that in the late 1800’s a trader named Mackie used this place to rest on his journeys into the ranges. 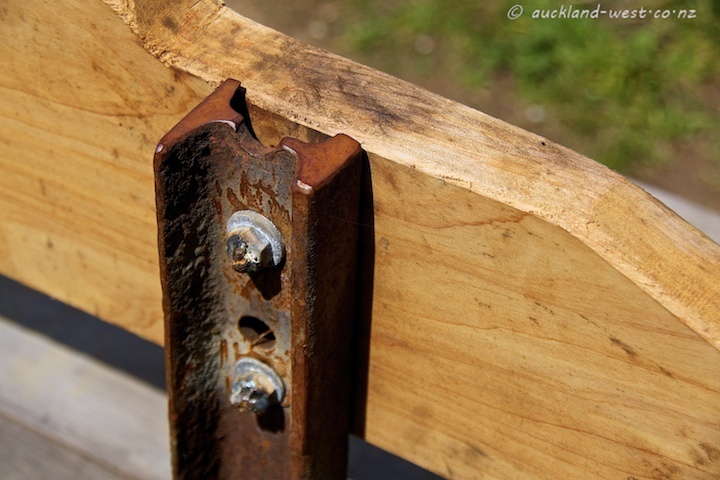 In 1912, the Auckland City Council built a shelter there, and a local farmer, Marshall Laing, added a bench bearing the inscription “Stop. Mackies Rest”. 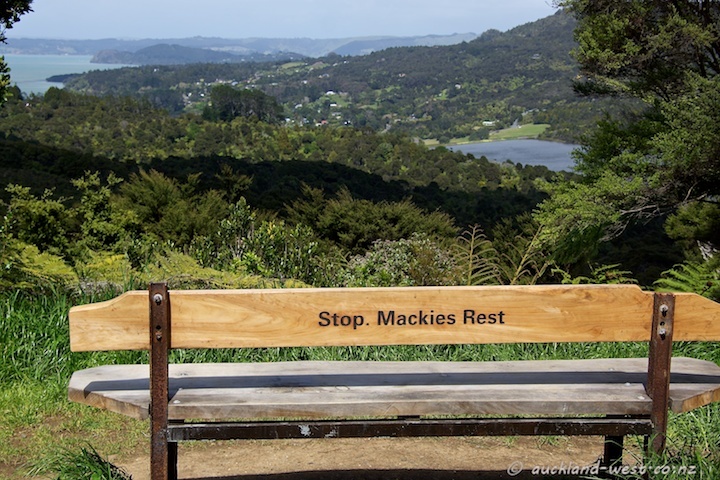 Sometime this year, a replica of that bench was placed there, with a good view of the Lower Nihotupu Reservoir (part of Auckland’s drinking water supply), with the Manukau Harbour behind. This spot is also the start of the Beveridge Track leading up to the Arataki Visitor Centre.